Let the beets rest until cool enough to handle then peel. Rough chop and puree in a food processor. Whisk in the cornstarch slurry and bring to a boil again. 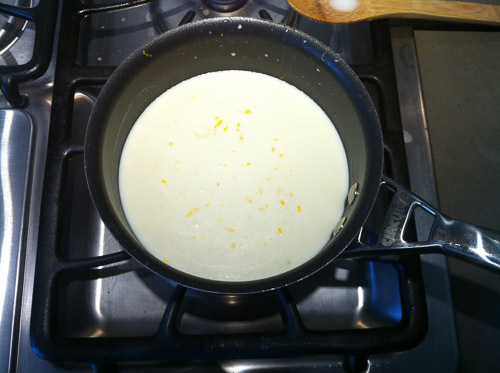 Boil for one minute, stirring constantly, until slightly thickened. 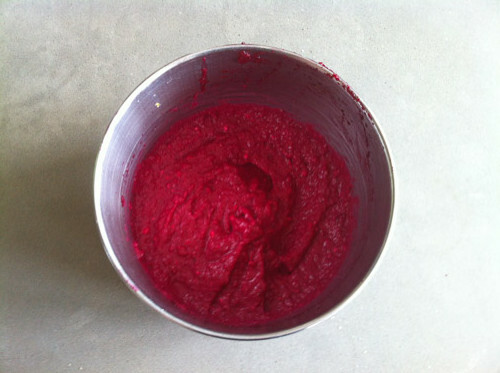 Pour the hot milk mixture into the bowl with the beet puree and whisk until completely combined and smooth. Cool the mixture in a metal bowl set over an ice bath and refrigerate until extremely cold. 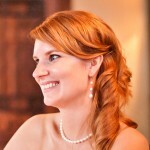 This will help ensure a smoother final product. 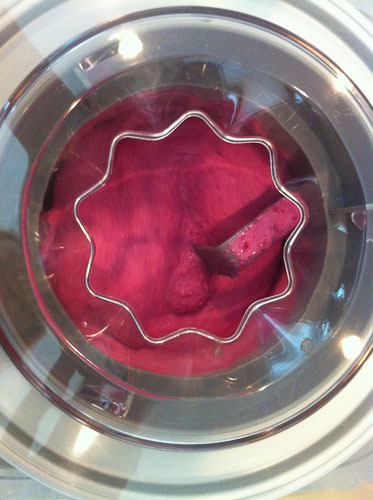 Churn the mixture in an ice cream machine following the manufacturer’s instructions, until thick and creamy. 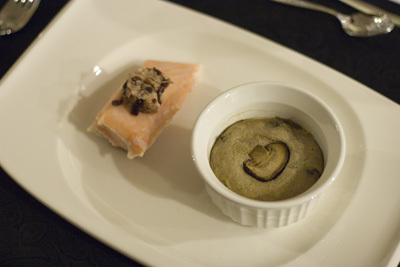 Allow to harden in the freezer for at least 4 hours and then remove 45 minutes before serving. Peel the turnip and slice very thinly using a mandolin. Using a 1 inch biscuit cutter or ring mold, punch out 30 rounds. 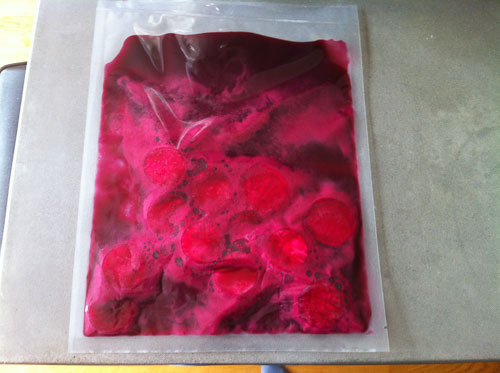 Vacuum seal the beet juice and turnip rounds using a chamber vacuum sealer (or the displacement method). Slice the scallops horizontally into 1/4 inch rounds. 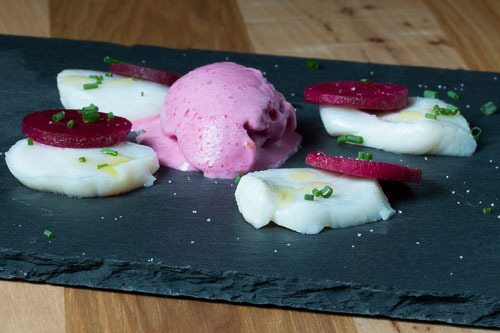 Arrange the scallops and turnip rounds in a circular pattern onto a well chilled plate leaving room in the center for the ice cream. Drizzle the scallops with the lemon and lime juices, olive oil, and chives. Finish with a bit of salt. 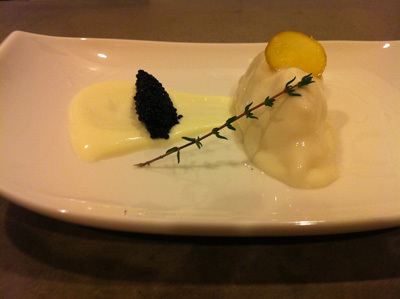 Plate a quenelle of beet ice cream in the center and serve immediately.